Although the CPAP mask is the most effective treatment for sleep apnea, many sufferers find they simply cannot tolerate it. Now, relief is available for the CPAP intolerant, in the form of a custom-made dental device. This device - no more intrusive than a mouth guard - perfectly aligns the jaw to hold open the airway. 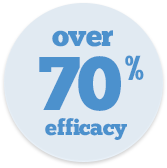 In clinical trials performed by the Mayo Clinic, dental devices customized for individuals offered an over 70% success rate in treating mild to moderate sleep apnea. 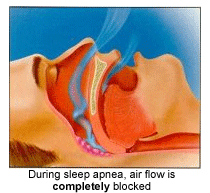 Snoring and Obstructive Sleep Apnea occur when the tongue and soft tissues of the neck and throat cover the windpipe, either partially (snoring) or completely (Obstructive Sleep Apnea). When it is covered completely, we literally cannot breath. The basic concept of a dental device is to gently position your lower jaw, and therefore your tongue and its related tissues, forward and away from your windpipe. This reduces snoring and Obstructive Sleep Apnea. Getting tested for Obstructive Sleep Apnea has never been easier. 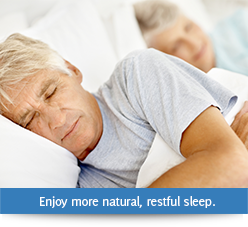 There are several Sleep Facilities in Jacksonville that can perform this test but many patients prefer to be tested in the comfort of their own home. This also has the advantage of testing you in your normal and typical environment, which can lead to a more realistic result. Dr. Caven has partnered with EZ Sleep to create an efficient and convenient system to help you get a diagnosis by a Board Certified Sleep Medicine Physician. We can be in communication with your general physician if you wish, as well as any other providers, including your regular dentist if you are not a patient of record in Dr. Caven’s office. It is so tempting to get sucked in by the late night infomercials and online promises of the Do It Yourself snore-guards. But it is important to remember that it is dangerous to treat snoring without knowing the actual diagnosis of Obstructive Sleep Apnea. And since all medical devices have some risk associated with them and every case has its own particular considerations, we heavily recommend staying away from those offers. It is probably better to have no treatment than treatment provided by that avenue. Call or click to set up a consultation today.